Could under the radar Chivas USA quietly put together a surprising final season before MLS sells the club off to the highest bidder with a veteran league executive joining a seasoned MLS coach and the club gradually getting rid of the influx of sub-par players seen in recent seasons with seldom-used young Peruvian midfielder Carlo Chueca being shown the door today. Weekly Soccer Column: How Will the next MLS team in Los Angeles Succeed Where Chivas USA Failed? Chivas USA is embarking on one final MLS season before dissolving even as new coach Wilmer Cabrera, above, has the team firmly set on course for a solid pre-season. What will it take for Chivas USA’s successor to win over fans? Read today’s column here. *Chivas USA today finally confirmed the signing today of English forward Luke Moore, a player that judging by the above video is not accorded universal respect from some fans of his previous clubs, to put it mildly. Chivas USA rescued the former West Bromwich Albion and Swansea City forward from exile in Turkey with Sanica Boru Elazığspor, where his career had stalled apparently much like his finishing touch in front of goal. *The Galaxy also signed Mexican native Raul Mendiola, 19, whose hometown is listed as Torrance on the Galaxy website. More on both players here. 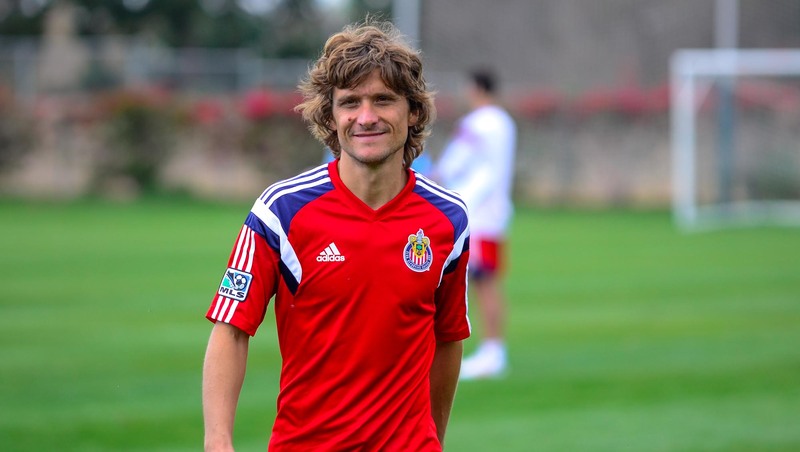 *Chivas USA have reportedly come to terms with English striker Luke Moore. At age 28 he’s in the prime of his career; problem is, that career has stalled as his goals have dried up. *Meanwhile, UCLA is touting its men’s recruiting class as the nation’s best for the second year in a row. And that, in a nutshell, is what MLS announced today and Commissioner Don Garber expanded on in a conference call with reporters this afternoon. The Chivas USA experiment is mercifully over and few local soccer fans will weep at the club’s demise. The search for local owners is on, but Garber said neither David Beckham nor Arsenal owner Stan Kroenke, who recently bought land in Inglewood for a rumored NFL stadium, will be involved. MLS beat reporter Phil Collin will have more later (as will I), but for now here are a few key Garber quotes from the teleconference. “This is a heavy lift. We bought this team at market price. We didn’t assume it. We had to convince the Vergaras to sell it to us as opposed to others,” he said. “Our goal is to get a new owner by the end of the year. I think that’s ambitious, but that’s our goal. Chivas USA drew with PDL club FC Tuscon today at the Desert Diamond Cup. Chivas USA adds Argentine Midfielder Agustin Pelletieri — Is Rebranding Next? Experienced help: Argentine Agustin Pelletieri, 31, will add guile to the Chivas USA midfield after the club announced his signing today (Photo Courtesy Chivas USA). Guess he passed the trial. Chivas USA trialist Agustin Pelletieri has latched on with the club on a permanent basis, as expected. The 31-year-old last played for Argentina’s Racing Club de Avellaneda. 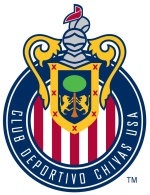 Meanwhile, Los Angeles-based soccer scribe Luis Bueno provides his thoughts on the re-branding of Chivas USA that increasingly looks a case of if, and not when, it’s going to happen. Miss the Galaxy’s win over the San Jose Earthquakes in Fresno or Chivas USA’s triumph over the Colorado Rapids in Las Vegas over the long weekend? If you love futbol, it’s apt that the new Mexico away kit went on sale today. 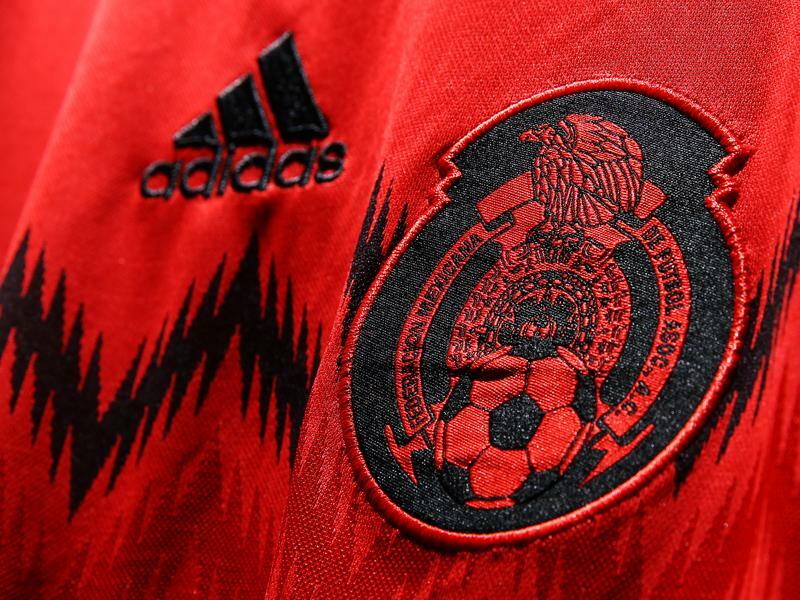 The new away kit of the Mexican team stands out through an innovative combination of red and black, reinterpreting classic jerseys of the national team worn in previous World Cups. This color combination was first used in Uruguay 1930 through to Sweden 1958. The color in the jersey pays homage to the passion, union and the combative spirit reflected in the red color of the Mexican flag. The shirt´s design is completed with black elements, around the v-neck, the borders of the sleeves and the traditional adidas three stripes, which provide elegance to the jersey’s design. The crest is placed at the height of the heart featuring a dichromatic application. Below it, a black fretwork graphic is repeated subtlety in red tones down the front of the shirt. The colors of the Mexican flag are present at the back of the jersey through the stripe located under the shoulders where the word “México” is framed in green, white and red. The rest of the kit is complemented by black shorts and red socks. Buy it here (along with other adidas World Cup kits the company has released this week). *The Galaxy are in Fresno this weekend taking on the San Jose Earthquakes Saturday. A preview is here. And here’s a wrap of the Thursday exhibition mentioned in the above article that marked the first-ever game of the Galaxy II, the club’s new USL Pro affiliate. *Finally, Chivas USA is in action Sunday in Las Vegas. The club also announced today that the club signed SuperDraft Second-Round pick Thomas McNamara. He’s been in camp with the club all along.